On March 23-24, the second Sunday of Great Lent, His Grace Nicholas, Bishop of Manhattan, paid an archpastoral visit to Protection of the Mother of God Church in Rochester, NY. By this visit, he continued a renewed parish tradition which was begun in the 1960s by Archbishop Averky (Taushev; +1976) and was continued by Metropolitan Laurus (Škurla; +2008). Every year, these archpastors would visit not only for the parish’s patronal feast on October 14, but also on the second Sunday of Great Lent. 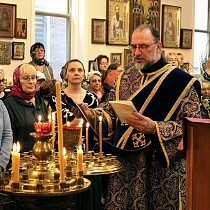 This year’s visit was especially joyous for parishioners, as Bishop Nicholas was accompanied by the Protectress of the Russian Diaspora – the wonderworking Kursk Root Icon of the Mother of God. 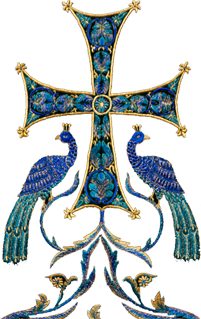 His Grace led the divine services – All-Night Vigil with an Akathist to the Most Holy Theotokos sung by the gathered faithful on Saturday evening, and Divine Liturgy on Sunday – co-served by parish clergy. Addressing worshippers with a sermon, His Grace encouraged them to continue their struggles in the coming weeks of the Fast, in order to prepare themselves for the encounter with the Risen Christ on the joyous feast of Pascha. After Liturgy, clergy and parishioners shared a plentiful lenten meal with Bishop Nicholas, prepared by the parish sisterhood.